Overcome Your Fears With Team Triumph Triathlon Training! Do you have a dream of competing in a triathlon one day? Or are you sick of working out alone in your dark basement, or the "pain cave?" Have you signed up for a race and worry you aren't going to be ready? 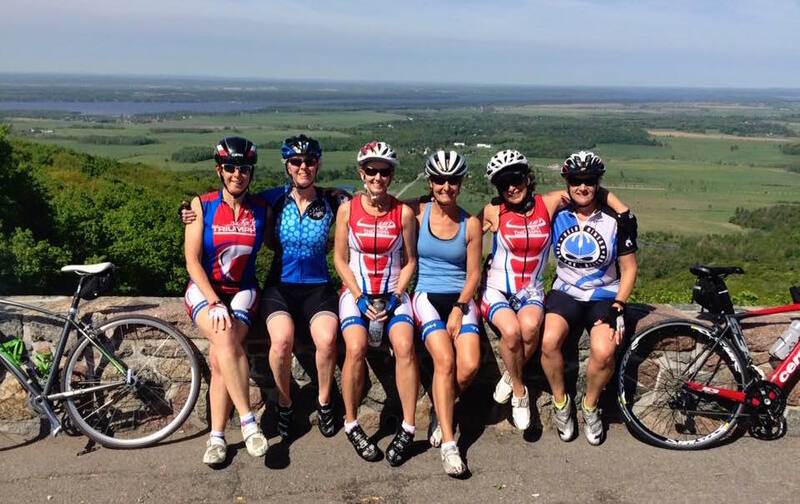 If you answered 'yes' to any of those questions, Team Triumph Triathlon Club in Ottawa is for you! Our Coaches specialize in optimizing your health and fitness through improving your swim technique, running efficiency, and cycling power. We offer several different packages and training opportunities to better fit your goals and preferences. Jump on our schedule, see which classes work for you and we will help you get registered with a combination of what you are looking for. 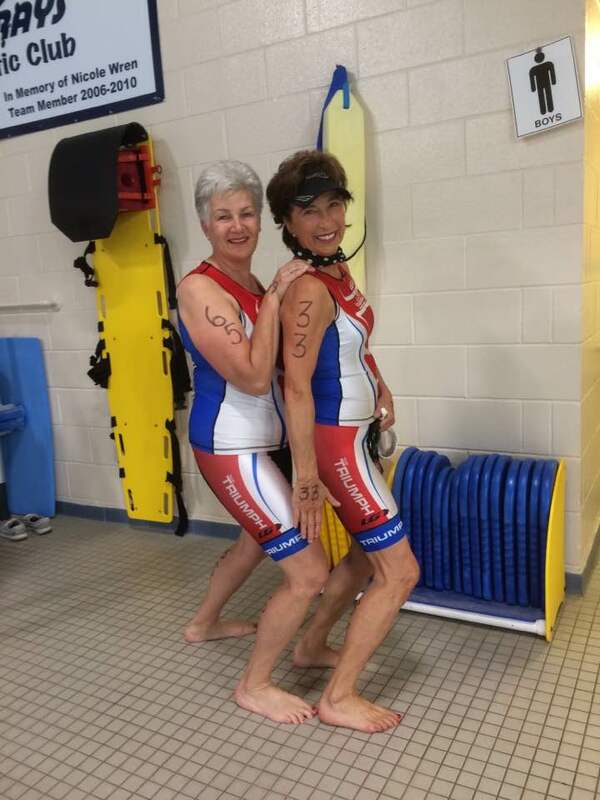 Our programs are guaranteed to get you in amazing shape and ready to complete your first triathlon, get you to the finish line of that Ironman or achieve a personal best! Join Team Triumph for our indoor cycling, run and strength program at the Ottawa Athletic Club. 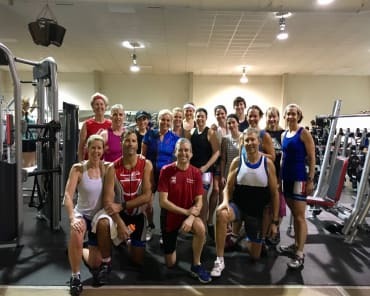 This program is focused for clients who are aspiring age group triathletes, Ironman triathletes, cyclists, or anyone who wants to get in amazing shape and maybe do a triathlon or cycling event one day. Group training is guaranteed to improve your commitment, make you accountable and it builds motivation and your ability to work harder. This program is for all ages and fitness levels! Swimming is all about efficiency and it's one of the most important elements of a triathlon. Learn to swim smoothly and comfortably by receiving stroke correction and video on the spot. Improve your technique with Total Immersion skills and drills. Work hard using your personal set repeat times which are given to each swimmer. We guarantee you will be a more confident swimmer in a matter of weeks! Our Friday morning running club meets in the Arboretum. The focus is on running form, hills, tempo training and camaraderie! We have a great circuit loop which allows our club to do their circuits together so no one gets left behind. If you’re looking to improve your running, you will be given all the tools you need to be a more efficient and faster runner! Our outdoor clinics are for beginner to intermediate levels who want to improve their confidence, skills, and technique in open water swimming, outdoor cycling, transitions, race day preparation and running. Our club workouts are for the more experienced triathletes who want to improve skills, confidence, fitness and endurance on the bike. Enjoy gorgeous different rides, swim and runs around the National Capital Region and go the distance because nobody likes to ride long alone. 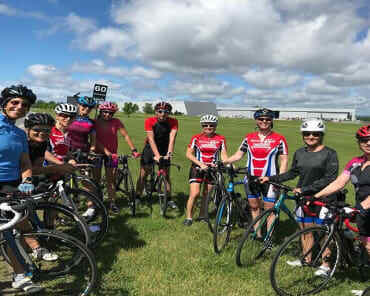 Sign Up for Triathlon Training in Ottawa Today! If you would like to learn more about our Triathlon Training programs, please fill out the short form on the right side of this page. We look forward to speaking with you soon, and can't wait to start working with you!